Personalized energy systems | Watts Up With That? BOSTON — The era of personalized energy systems — in which individual homes and small businesses produce their own energy for heating, cooling and powering cars — took another step toward reality today as scientists reported discovery of a powerful new catalyst that is a key element in such a system. 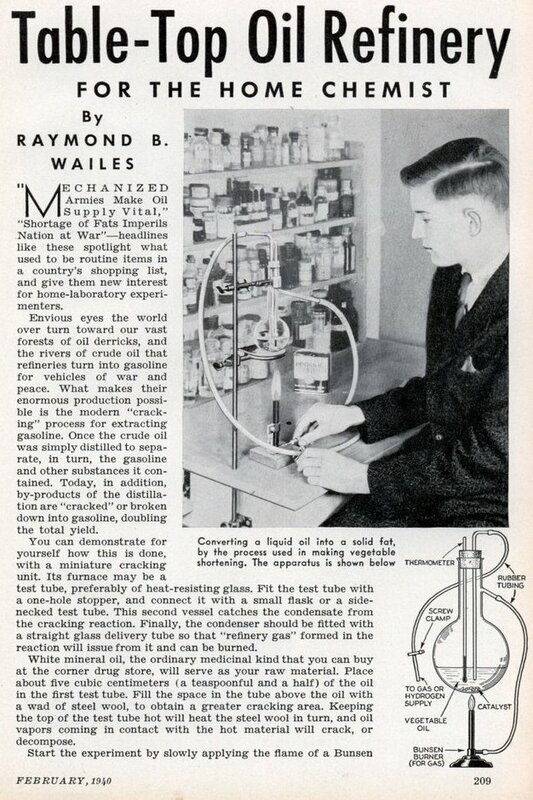 They described the advance, which could help free homes and businesses from dependence on the electric company and the corner gasoline station, at the 240th National Meeting of the American Chemical Society, being held here this week. September 1, 2010 in Energy, Technology. It’s fundamentally filling the tank (charging) during the day and converting the stored energy into usable AC (discharging) during the less-sun filled hours. Also note that there have been developments toward a direct catalyst (H2O + light -> H2 + O2) as opposed to the scheme proposed here (light + photocell -> electricity. Electricity + H2O -> H2 + O2). There is alway a need for cheap oxygen sources. If this production system is cheaper than membrane technologies it could easily be a winner, even if the fuel cell angle does not pan out. Count me a skeptic. Hydrogen is simply too small to act as a good battery (aka energy storage unit). We have to get over Jane Fonda and push nuclear. I think the 24 hours /day is over the top unless they have a new breakthrough. Storing hydrogen and oxygen? What pressurizes the storage tanks-an electric pump? I think it may turn out to be pie – sour lemon. I suspect the Sun has to shine at least some of the time for this to work. Having just had the coldest wettest August in over a dozen years I think the tanks would be well and truly dry by now. Good for Africa maybe (where it is arguably most needed anyway). Worth keeping an eye on – but a little ways from an off the shelf product yet. If you think that government controlled electricity utilities would allow the general public to generate their own energy, you are barmy. It will be like everything else. As soon as water conservation drops revenues, they up the rates. Carbon Neutral, Inexpensive, Widely understood, Green and Organic to boot! 4. Use the wood for housing and furniture and recycle the scraps back into the biosphere (burn them) and free the carbon to make new trees. PS. I already have such a system, works great! Wait, but isn’t there Oxygen in the atmosphere already? And, we still have not gotten around the cost and obtrusiveness of the solar panel system. To power a full house full of electronics and people, the system would necessarily be large. Am sure too, that this system would be perfectly fine on a house in Columbia or even Texas. But what about the states of Washington, Idaho, Oregon, and other northern latitude areas? Those would need to double the size of the solar panels. I constructed a solar powered data collection station in Eastern Washington. It was designed to be self-sufficient. I had to build it with 8 75-watt panels plus a propane generator backup. We ran out of propane quite a bit during the winter months. Should have built the system with 12 panels at least. And that would have covered the area of a typical home’s roof. And that was just for something small. If you think that government controlled electricity utilities would allow the general public to generate their own energy, you are barmy. Surplus electricity??? Exactly how many solar panels do they intend to put on the roof to achieve that?? The average solar household that’s disconnected from the grid today uses gas for heating and cooking because both are dealing in 1000’s of watts yet the solar panels are dealing in 100s of watts. And they want to run a car as well!!! I lived with solar at a latitude of 28 and I only got 6 hours of power per day, the other 18 hours you are relying on storage. this is just pie in the sky BS!! Another kind of personal energy system here. We can all be self-sufficient! It is a net energy sink. You will need some pumps/compressors to get the H2/O2 to their repositories. Presumably this improved catalyst would have other uses, however. The only difference between this and standard home photovoltaic systems is the replacement of batteries with a fuel cell. To be worthwhile, the fuel cell would have to be cheaper and/or more efficient than batteries, and there is no data in this article that suggests this. Photovoltaic electricity doesn’t do well outside the tropics where winters are cold (and usually cloudy). You need a large overcapacity of panels that becomes redundant in summer. Either that, or depend mostly on backup systems in winter. I kind of like the Honda HES . I am a Honda guy. I just looked into Solar power for my home. The salespeople came and made measurements and did calculations. My roof is not as well situated as I had hoped. Plus there are regs. You can’t generate more than you currently use ! “lease” the solar generating equipment which I can then pay again to own. How long can I expect this credit scheme to actually last ? How can PSEG ( Utility) pay me for just making my own electricity, since only making 65% of what I use means very little to the “grid”. ? to better elements when they become available ? And how long do the elements actually last ? I would still take the chance, but the wife ( whose idea it was in the first place) said “No deal”. Solar cells do NOT convert photons to electrons. The photons ‘release’ electrons stored in near pure Silicon sheets, which travel to light blocking surface grids for removal. This is ‘electricity’ by material erosion which drops off in electrical production rapidly after twenty years. It takes seven years of use, with CARBON FUEL BASED PRODUCTION to make a solar cell. If ‘solar energy’ was used, that would require twenty years of elecric production to produce a solar cell with a twenty year life. The same limitations apply to the battery side of the equation, where plates erode thru use. A carbon based fuel cell improvement would be welcome. Reliance on silicon based solar cells and batteeries is merely treading water and is not swimming forward. The 240th meeting ? Does the American Chemical Society meet twice a year ? This research was summarized in a recent issue of Chemical and Engineering News, a weekly publication of the American Chemical Society whose Editor-in Chief is a confirmed AGW supporter. The details of where the oxygen goes were not disclosed. Also in a recent issue was a report on development of flexible plastic solar cells rather than rigid glass-covered ones. If successful, they could be made very cheaply. I work for a large electric utility in the USA (American Electric Power) and I would like to fix one common misconception/misrepresentation. Utilities are obligated BY LAW to serve every customer that wants power. Customers ARE NOT obligated to buy that electricity from utilities. If you want to go “off the grid” have a ball. Most people just want to use their own system when it’s available but expect the utility to maintain a distribution connection to their house for use at their beckon call. The new catalyst is the old, tax payers money. Good for the chemists to do the research and I hope the catalyst finds a profitable use, but as the ultimate battery I doubt it.The renewable off grid systems do not have the capacities we take for granted as others here point out. Energy in the home is utilised mostly in the form of “heat”. For washing cooking and coffee. It should be a capital felony offense to consume electricity to create “heat”. So solar energy should be captured in the home as heat and stored as heat. You need several “qualities” of heat. Flat plate colelctors are ok for swimming pool heaters; parabolic troughs can make truly hot water for laundry, dish washing, and showers. And three dimensional focussing can generate cooking temperatures. Then you need a couple of square feet of PV cells to run your emergency radio, and the electric toothbrush. putting up acres of solar cells is the brute force expensive way to do it. You can use a basement full of volcanic rocks (scoria) to store plenty of hot air. Going pEV is like longlining for sailfish, marlin and tuna to grind up for fertilizer to grow corn and vegetables. People should be shot for doing that. A lot of “hope and change” in that article. In the software biz, it would be called “vaporware”. We start off with the statement that better solar cells need to be created. Well that has been the problem with solar energy from day one. Then we have the fact that you can’t create more energy than the sun provided in the day. I’ve been looking at self contained solar/battery/gen backup systems for my place in FL. For my system, and this one, you cannot end up with more energy than the sun gives you, and if you hope to keep your solar panel costs below the Ionosphere, this isn’t very much. You need ingenuity to devise a usage plan that is economical yet still convenient. Super-insulation is key, as well as highly efficient appliances. (Like brushless 12V DC A/C units) or evaporative if you’re in the right area. There are chest style refrigerators with ultra low consumption, and solar trickle pumps for your well. Insulating and elevating stored water can avoid the power needed for a pressurized system. Still, you can’t end up with more than you started with. It’s a challenge. This sort of thinking illustrates what is wrong with the alternative energy crowd. Solar energy (any renewable) arrives on earth at a max rate of about 1 KWatt/m^2. So inefficiency translates into coverage area. You can’t cover a large area with Saran wrap or Aluminium foil cheap enough to meet the needed cost of a PEV installation. So for PEV the three most important system parameters are conversion Efficiency, Conversion efficiency, and Conversion Efficiency. There are NO other important system parameters. So cheap doesn’t cut it; land area costs money; and if you are going to put up something that can withstand a 150 years storm; then neither Saran Wrap nor Aluminum Foil will work. There’s a Silicon valley “solar energy” company; that is burning its way through 500 million dollars of taxpayer backed Government loan money; they haven’t yet made a dime; they most likely never will make a dime; and they don’t seem to understand that a flat plate of width W has exactly the same projected area as a cylinder of diameter W.
But we do have a couple of PEV comapnies who understand that only efficiency counts. They probably will make some money; the rest will become the bubble bust of the 201x decade; and take a lot of investors with them. Just imagine the haggle you can have with your neighbor over his Maple tree shading your solar array. Already in Si Valley, a Judge has told a home owner to cut down his tree that has been there for decades; because his neighbor decided to erect a brand new solar array underneath that tree. Go figure who is really green. It’s another pie in the sky all right. I will file it in the same drawer as the water propelled car engine, the super battery at the size of a washing machine that would be on the market one year ago at the price of US $ 2.000,- and the endless air machine that came with two free tin hats. I am only interested in compatible energy solutions that I can simply can buy under guarantee and send back at a refund if they don’t meet my expectations. The true reason we see an endless stream of so called “new energy” applications is to make people think they don’t have to depend on carbon fuels in the near future. Nobody can look into the future but carbon fuels will be with us for a long time to come. The only way such systems will make economic sense is in rural areas and populations who will be satisfied with a low energy density life style. If you are a village that has no commercial power and all the people want is a radio or TV that they can view in a recreation center like environment and a hand full of low energy LED lights along with a small super insulated refrigerator it might be viable. A few years back I went entirely off the grid and lived on such a system for about 6 months (summer in Colorado) using only about 40 sq ft of solar panels but you had to be very judicious with energy usage to not exhaust the storage batteries. I had no heating demand because of the season and hot water and cooking were on a propane camp stove. It can be done but most people in the industrial world simply would not even contemplate this low of an energy life style. Bottom line it can never out put more energy than it can collect at the solar panel. If you assume that the total solar energy in a location is about 4 Kilowatt hours/ meter^2 per day, and then start to budget that energy including collection efficiencies and conversion efficiencies you are talking about a pretty good solar panel array for even modest energy requirements. Small computer for 6 hours at 80 watts for 6 hours a day or 480 watt hours. That would yield a “delivered power” of at least 5044 watt hours per day. If you assume a solar panel has about 15% recovery efficiency over all (yes I know some are better than that) that would require about 17 Meter^2 of solar panel with a safety factor of 2x just to meet this minimum demand. In short just to meet 3rd world minimum power levels for such a community resource center you would have to cover a good fraction of the roof with solar panels. For industrial developed world power consumptions nearly the entire roof of the home would have to be dedicated to solar panels. At about $600/meter^2 panel cost you are talking about something in excess of $10,000 USD just for the solar panels for a subsistence level of power production. 1. I like the bluegen system. No personal connection, just think it could be economical. Seach on bluegen. Gas powered fuel cell 1.5 kW generate at home 24/7 they claim up to 60% efficient. Hot water is a side product. 2. I’ve seen compressed air storage systems for enterprise scale power storage. Has anyone done the sums on a household system ? ie use solar to pump up a tank via 12v motor and pump then bleed off to an alternator/air motor at night. Maybe this is a scam. I’ve seen a lot of them over the years. I’m not judging until I’ve seen some details. Swimming pools need pumps. The pump on my pool requires 220 volts. Air conditioning requires 220 volts. Stored heat is nice, but fans are needed to distribute it. And home heat and cooking heat I get from gas. Really only the coffee maker and the dishwasher use electric heaters. My needs run far beyond the emergency radio and electric toothbrush. I do not intend to give them up, nor do I believe that cutting down on my use of electricity can or will benefit anyone else on Earth. and save some cash, I just don’t see why the power company would pay me for using my own electricity. though 5 of them call me every week. I would much prefer that my local utility be both robust and fairly priced. More nuclear please. OOH I am an ugly American. Okay. The World would need over a billion units. What resources would be required. How much energy would be needed to build them, how much toxic chemicals would be created in the process? In the UK [and much of the northern hemisphere] most energy would be produced in summer, and most energy would be needed in winter [a problem with most renewables]. How will this system change that? How is the hydrogen and oxygen stored? In big gas storage tanks, balloons, or at high pressure using compressors? Would tanks of explosive gases be allowed near homes? In fact, using hydrogen and oxygen to store energy at the domestic level seems a stupid idea! Also he points out that the input, solar cells, are not efficient enough, and the output, fuel cells, are not sufficiently efficient! There is nothing left of this idea! PS. Distilled water is not pleasant to drink! Note that the idea of creating hydrogen as fuel for cars, with an oxygen by-product, could be useful for wind turbines as they are removed from the electricity grid. An industrial unit could be connected to large arrays of wind turbines so that these otherwise white elephants could perform some kind of useful function in their twilight years. I have designed a triple cycle solar heat pump, that provides hot water, space cooling and electricity. It is much simpler, cheaper and can be backed up with batteries. It is also manufactured with simple proven components. Solar is limited by the available watts per square metre, thus the third cycle extracts energy from rising warm air. Similarly, current corporate wind farms use 1944 propeller technology that no matter how well designed are very heavy and very inefficient. I have a design that can be up to 100 times more efficient and thus have practical home owner usage. The same concepts can be used to extract power from water currents, such as the gulf stream. A string a 100 miles long could easily generate 5 gigawatts plus. It would be cheap as well. Another kind of personal energy system here. (1) I seriously doubt many people would invest the time to understand their home power station and therefore be able to maintain and use it properly. (2) The demand curve described above is skewed. Most people’s cars are at home during the day only 2/7 of the time, and those people would come home and charge the car, turn on the TV/PC, start laundry, dishes and the stove. The battery/capacitor/fuel cell would have to be able to discharge at a very high rate and I’m not certain we’ll get to that capability on a personal level within a reasonable cost. PV systems are economically viable in certain parts of the US. have plenty of sunlight and VERY steeply progressive rates for electrical usage. in 6-7 years. After that you get 10-15 years of “free” electricity. peak, and that peak is far away from the ROI peak of the solar salesman. This could turn out to be interesting, but it strikes me as one small advance in a system that needs 7 or 8 major breakthroughs before it can be commercially viable. Want to bet hemp is involved? I just want to say I mentioned this but I didn’t link it. Scroll down to see the Home system. or else they will take the page down LOL. The Greater Rochester International Airport is back open after two explosions near the refueling station Thursday afternoon. Two people were injured, and the airport was closed for about 50 minutes. In addition to flames and smoke about a half mile from the main runway, the two hydrogen explosions caused all air traffic to be suspended for 50 minutes. Passengers boarding three flights in Rochester were ordered off the planes. For those who advocate nuclear, the link below should give some pause for thought. The article above describes a form of DG – Distributed Generation – which is highly encouraged by many utilities. I agree with the nay-sayers above, that this is hopelessly inefficient. The Honda Motor Company recently made a presentation to me and other chemical engineers on their hydrogen fuel cell car and the solar-based PV system to split water to produce the hydrogen, located in Torrance, California. see http://ieahia.org/pdfs/honda.pdf for photo of the system as Figure 1. The system described in the article above is essentially the same, excepting the Honda refueling station does not send power into a grid or for home use. No one could afford to buy one of these unless he or she has excess money to waste. Nothing new here. More of the same: hopeless hydrogen hype. The ACS should know better – those guys (and ladies) are generally pretty smart. As a chemical engineer, I associated and worked with many of them over the years. “The responsible government agency” – you made me laugh, Phil’s Dad. read “inexpensive home brewed” and got excited. then I read the rest and… pfft… it’s about electricity. bummer. I think a personalized energy system may be wishful thinking for now. But what about all the energy that goes into lighting, not to mention the 90% of the energy in lights that is wasted by heat. What of looking into new bioluminescent lighting technology where none of the energy s wasted as heat? None of the energy would be produced by electricity either, but it would still have the same lighting effect. Anyone know of anything like this in the making? I’ll be long gone before this makes a dent in supplied energy. Toshibas’ mini-nuke is the way to go. While it has merit, this is not viable yet. Wonderful and promising, in the absence of subsidies. If it stands on its own and develops a customer base, that’s great. I love the idea of going off the grid, but when I researched both solar and wind, it doesn’t work. Even with the subsidies from taxpayers and Excel Energy, it still costs something like $30,000 to replace only 60% of your electric usage. That’s maybe 1/3 of our monthly bill and the ROI is something like 50 years. It’s too bad, we have the perfect roof facing directly south and Colorado’s infamously sunny days. For wind, you need at least an acre of land and the expense and ROI are about the same as solar. Give me clean coal any day. It should be a crime to burn natural gas to create electricity. Careful Alvin because there may well be alternative energy sources involved like LSD and Ecstasy and I wouldn’t want you misplacing scarce resources with these people. 35 years ago I was installing solar flat plate waterheaters that would heat water too hot to be legal. Real promoters were bragging about future PV systems that would produce electricity and hydrogen fuel. Anyone out there ever actually worked with hydrogen? It is a real nightmare to deal with in industrial settings. Anyone that thinks hydrogen is a general use fuel for the future would play with nitroglysern. Leaks are very common as hydrogen will sneak through the most tiny hole or crack, and the smallest amount can explode. Just ask NASA engineers about the fun in handling hydrogen. It really galls me that here in New Jersey, the bankrupt government is spending tax dollars subsidizing the installation of home solar PV arrays. New Jersey is simply too far North, with too cloudy of a climate to ever be an optimal place for PV power generation. You can take the numbers from aPV array in Mojave, California, and cut the power output by a factor of three if you put an identical array in New Jersey. So, what ends up happening is that the PV array in New Jersey will NEVER EVER produce as much energy as it took to construct, install, and maintain the array. What was the point of the tax subsidy? On the other hand, there is a perfectly viable option for the Mid-Atlantic states in reducing energy consumption dramatically. You see, when you dig down five feet, it is 54 deg. F., and if you pump water from down there, or mount a long loop of hose underground, you can obtain 54 deg. F water all day long, year round. Hook it up to a heat pump, and in the summer you get air conditioning. In the winter, reverse the cycle, and get space heating. I installed a 2 ton (24,000 btu) geothermal heat pump in my place. Uses 3.5 gpm of 65F measured water temp. in, 85F water out, that’s 24,000 btu’s of FREE ENERGY right there. The difference in efficiency is due to the much smaller heat differential between the 60F water heat sink and the condenser, vs. 105F air with a conventional unit. My 2 ton unit draws less than 4 amps at 240V, and cools a 2000s.f. space. A similarly sized conventional air conditioner would draw 12 amps. Geothermal heat pumps beat the living crap out of PV arrays around here. If only. Not quite whiskey but it would warm (burn) your gullet. Austin Helm says: “lighting technology” ?? I own (so full disclosure) a few shares of this company that, so far, has not made me rich. I like the idea though. I live in vancouver BC and we just got screwed with a 4.5cent per litre carbon tax and I am pissed.So I went to the scrap dealer and got stainless steal plates $2 per lb. and started making browns gas to put on my VW.I have had good results so far and it is simple to do .I will do anything to avoid the tax!!! If you look up stanley meyers on youtube its interesting. @ P.G. Sharrow, re hazards of Hydrogen. Yup, been there, done that on industrial scale (hydrogen from steam-methane reformers in refineries, also as a byproduct from chlorine via electrolysis, hydrogen recovery from mixed hydrocarbon fuel gases, purification, compression, bottling). The industrial history is many decades long and the knowledge exists to process hydrogen safely. But I do not ever want to see hydrogen in a residential setting, or commercial (office buildings) or retail (shopping malls). Far too many problems for the inexperienced to be left alone around a hydrogen system. For starters, hydrogen heats up when it leaks from a high pressure to a lower pressure (reverse Joule-Thomson effect). It also auto-ignites. The flame is essentially invisible during daytime, as it burns with a very pale blue flame. It does indeed creep into the tiniest of crevices and causes metal embrittlement. For domestic use, or commercial or retail, an on-site generation system such as that described in the above article would require compression – a major source of leaks – then storage at high pressure; again a major source of leaks or catastrophic failure, fire, explosion, injury or death. So, we have a gas that can and does create an almost invisible flame, jetting out at high pressure (note the Honda article stored the hydrogen at 5,000 psi), a sure recipe for disaster. Here’s a link to a video of a hydrogen flame in a laboratory. At around 1:38 minutes, the flame is invisible with the laboratory lights on. Then at 1:44 the lights are turned off and the flame appears as a pale blue light. Now, who wants one of these in their home? Or office? Or at the shopping mall? Most renewables except wind, tidal, geothermal, (passive) solar, rain, hydro and biomass? There are some people who spend a lot of time living in an RV off the grid. They usually use a combination of a LOT of batteries, roof-top solar, and often wind, supplemented with a generator for prolonged cloudiness. It works OK in the desert in winter or the Oregon coast in summer. Propane heats the water, runs the refer, and cooks the food. In the Frozen North the double barrel wood stove and propane or kerosene or Coleman lanterns did the heat and light, and the battery radio tuned to ‘Caribou Clatter’ at 6pm on the AM dial served for communications not that many years ago. These are quite compact living spaces and the owners have spent what was needed based on whats available and fit for purpose, and they are not running AC and microwaves. Conclusion is that solar and wind in favorable conditions allow a residence to meet perhaps 80% of their useage provided they forego the heavy uses. Perhaps the catalyst will work, but efficiency isn’t likely to approach that of the central power station irrespective of the fuel source. BMW has a duel fuel car now.The problem has always been storage tanks and they now have them.This is an internalcombustion car.H2 without O is not volatile until O is introduced.There are also many H2 cutting torches commercialy available now.All you do is plug it in,no more acetaline tanks or O tanks,they also burn much hotter,its cheap and clean. 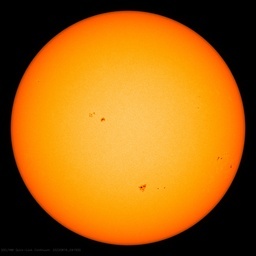 342 Watts per square meter is the theoretical average solar energy received over 24 hour cycle with 250 Watts per square meter being the practical maximum. That is the direct output before going through the ineficiencies of conversion to electricity and of battery storage. Might be a good idea to have a look on the web site of Blacklight Power. When you can go to Walmart or Costco and pick up a personal nuclear reactor along with the weekly groceries, then our energy problems are over. It may happen sooner than we think. My grandfather was around to see the advent of the car, flight, and then space travel. I’m sure he didn’t see that coming when he was growing up in the 1890’s. I’ll need to increase my solar system ! At 13kwh per day it delivers about a third of my total ‘house only’ usage, meaning I need about 45kwh in total. To charge a car (assuming at night when I get home) as well, asuming it uses 20kw/h each day without taking into acount the efficiency loss of the hydrogen production and fuel cell conversion back to electricity, and also the loss in charging the car batteries. This means I will need at least 100kwh of solar generation per day. My roof mounted system generates about 0.65kwh /sq. metre, meaning I will now need >150 sq. metres of panels instead of the current 20 sq. metres. Maybe I can use this an excuse to my wife to build the big garage extension ? At any rate it would seem that in a green world we will need big houses with large roof areas (+ and a big garage). Dont think they will ever afford it.Unless they first invoke free markeds and democracy. I myself have been waiting for such a system for 30 years now. Still cannot buy it. Not interested in in PhD papers. Tell me when I can order such a system. May be the Hydrino theory of Mills is wrong, but the heat (cheap energy) seems to be real. As you know, science is never settled ! I researched off-grid power systems while I lived in semi-rural New Zealand as I, luckily, had access to significant wind (Wellington/Wairarapa region) and a stream. Hydro was very doable, and would have privided plenty of power, even fed back into the grid if I wanted. However, these systems, for maximum efficiency, that is the generating and consuming systems, the voltage rating of the appliances need to be matched. So if your generating system is rated at 6v, 12v or 24v DC, you need matched, DC, appliances. An DC – AC coverter, although always improving, still wastes a lot of power. At that time, I was looking at a 12v generating system, and a fridge, made in Sweeden, cost ~NZ$12,000. I calculated that the generating system on it’s own would cost ~NZ35,000, including deep cycle batteries, the best being available only from the US at that time and a backup petrol generator. It was prohibitively expensive, so the idea was binned. Lot of good comments here. Solar ok but limited by physical constraints, I.E. watts per square metre. Attitude, If you dont think you can do it, you will not, its that simple. Corporations want profit and control, they dont want people producing their own power, it wrecks their monopoly, refer to so called wind power. There are many viable options, domestic wind turbines (not fans), in flow water turbines, group geothermal and of course sustainable bio-fuels. The golden egg is a cheap way to crack water, energy wise that is and zero point energy. Both eminently doable if not already done. The problem is not the technology or process, its patents, cash and will power. My adage, if it works, thats it stop messing about. Having seen the results of a hydrogen explosion in a battery room, count me out. I can not believe the ACS is recommending that. I have seen a hydrogen tank blow through a brick wall at a lab where I worked and that was only due to a cylinder failure not an explosion. At another plant a propane tank explosion took out an entire production line. Raytheon AND the Union agreed that mishandling a gas cylinder was a first time firing offense in the 1950’s. Hydrogen is very explosive and ANY gas cylinder must be handled with care. I cringe every time I see a helium tank at a store or fair that is in use blowing up balloons but the idiots failed to chained it upright. I have chewed out many vendors for that sin. One of the biggest headaches with hydrogen is gas leaks. all the fittings need to be checked frequently because a tight fitting can develop a leak over night. OSHA will not allow motorized vehicles anywhere near an in use H2 tank for that reason. A leak, a spark and you and your lab are history. Hydrogen – LEL – (Lower explosive limit) – 4%; UEL (Upper explosive limit) – 96%. Smallest gas molecule, very difficult to seal. In addition to the other great points brought up in the comments is anyone else bothered that technology “discovered” using government (DOE) and the NSF is being licensed to a private company so they can exploit it for money? If this is such a holy grail breakthrough why isn’t the NSF and DOE just sharing the results? I’m open to any method of generating electricity without having to pay today’s outrageous utility prices. And if it takes money out of the pockets of greedy windfarmers, so much the better. Question is, just how economic will all this be? This has all the hallmarks of a scam to harvest dollars from the gullible. Put that wallet back in your pocket. 3. It’s inappropriate (unsafe) technology to deploy to households. That’s just from a cursory analysis of the boundary conditions; imposed by the real world. System stops. Home owner goes to investigate the problem in the basement where the unit has been fitted. But the system has stopped producing electricity so there are no lights. Home owner lights a match so that they can see the stairs down to the basement. It’s a dead-end technology. Impractical, inefficient, inherently unsafe and very, very expensive. Individuals in the general public have always been allowed to generate their own energy – whether through a spill-pipe system in a creek in the backyard, or a windmill, or solar panels, or whatever. As a matter of fact, the electric utilities are required BY LAW to purchase any excess energy produced by individals. Some lucky individuals power their own homes pretty much completely free-of-charge already using their own systems. Don’t worry Alvin; I’m not about to go postal. Think of exaggeration as a figure of speech; to stress a point. If people want to do dumb things that’s their problem. If they want me to pay for their doing that; then it becomes my problem; and I take a dim view of paying for stupidity. Using hydrogen direct is too dangerous. Better way is to use the hydrogen is to react it catalytically with the CO2 recovered from FF power stations to create methane gas. Much easier to handle and converting generators/cars to run on gas is a doddle. However, better technology to split water into H and O is still needed as PV panels are not efficient enough at the moment. Laughter is good Mr S.
Would you be happier with “The government agency responsible”. That way if it suceeds it’s a sucess for the local community and if it fails it’s the governments fault. Business as usual. I don’t see a spot on that list for your television. Should households use energy only for food, water, shelter and transportation? Is that an underlying message? Why not work with a little more familiar chemicals. Use a catalyst to turn our old friend CO2 into Methane. Hydrocarbons are the easiest way to carry hydrogen around. I’m a bit amazed no one posted Dr. Nocera’s lecture. I’m a fan of his logic, sense of humor, and noticed in the comments that few understand certain types of fuel cells can in fact store energy (typically for grid load leveling). The DOE has also recently promoted this start-up company and therefore supported the logical conclusion that the best way to fix the energy issue is to decentralize power generation to the benefit of the consumer. Note: one thought crossed my mind though, if the medium he’s developed reacts with sunlight, what happens if it leaches into rivers, lakes, and the water table? I’ve done several really off of the grid installations for Defense projects in which money really wasn’t a limitation (in a normal budget sense). Existing, falling water was the only long term source of any reliability for more then the most insignificant power needs. Haven’t had to build it yet, but I think mini-hydro + a fly wheel storage system is the only realistic “off-the-grid” solution, with indirect solar design to help with heating and hot water. Solar panels are years away from the capacity required, too expensive, and a maintenance problem. Here’s a little test for ‘ya: Go down to your local fire department and housing code office and tell them you want to store large quantities of hydrogen and oxygen in your garage. See how long it is before they tape your doors shut and show up with EPA guys in spacesuits threatening to take everything you own…. I really like the Aircar idea as an energy storage solution for the home and systems that have the potential to achieve OverUnity (free energy). If we can eventually market a really efficient oxygen-from-water generator, then there would be no worries about those pesky 20-foot sea level rise calculations in the IP4 report. We could just convert all that extra water into oxygen. Of course, oxygen toxicity might become an issue for most terrestrial organisms, but that is probably better than drowning. Where’s the Energy Returned On Energy Invested analyses for these personalized energy systems? They’ve been throwing these solar “just around the corner” concepts at us since the 1970s. This looks as rudimentary as the ones 35 years ago. If this was doable, we’d have them already. For decades, we’ve had the Doomsday Clock. Perhaps we need a Solar Energy Reality Clock like that. If so, and if midnight meant it was in 100,000 homes – no, let’s make it NOON, HIGH NOON – how close are we? Let’s put dawn – 6:00 am as the starting point. I’d say we are at 6:45 am. Where’s the Energy Returned On Energy Invested analysis for these personalized energy systems? Charles can you expand on that a little for us non-engineers? I am taking it that the Energy Returned On Energy Invested should be greater than one for better than a break even. Also do you have any references on the solar EROEI? I suppose the EROI for the consumer includes treating the home energy system as a permanent fixture of the property — improves the value of the home depending on how well its built and how long it lasts. It also is only used when its needed and purifies water (probably needs to be cleaned a lot). There are a number of unanswered questions related to the system like the cost of operation, maintenance, and EPA problems (fuel cells produce CO2 and H2O as well as the possible environmental impact of the process). But, the overall approach, in my opinion, is on the right track. Decentralizing electric power generation is the best way to address the energy problem without robbing the consumer. So that should help improve the EROEI of solar. But the solar cell in question remains unchanged, and it is usually much more of a bottleneck than storage. Storage by electrolysis, on the other hand, is fairly inefficient and at this point no better than batteries (even when you have to lug them around in a car, apparently). But what problem have they solved? That’s a problem I want to have: An electrolysis machine that produces plenty of hydrogen but not enough oxygen at the same time. How do you get that? The last time somebody hyped an electrolysis catalyst, they at least lied in a manner that didn’t violate basic reaction balance math. PV’s aren’t there yet. 20% efficiency or less, and only if pointed directly at the sun. If your roof is not at the right angle, you have to tilt the panels. Which works at noon, less well before and after. Plus little things like hail, dust, blowing sand and the like. I’ve seen several solar panels in Colorado smashed to bits by our ‘interesting’ weather. Thermal solar makes quite a bit more sense. Not as sensitive to dirt. Cheaper. You can store heat in Glauber’s salt more efficiently than in rock, and you don’t need a zillion batteries, fuel cells (they are low voltage) or storage of the stuff that powers the Shuttle. Simple hot air can heat your house, make hot water, dry your clothes (most of the energy in a dryer goes to make hot air) and with a bit of thermodynamic magic, even cool your house. Think of a propane powered refrigerator in an RV or remote cabin. Same idea. And you can generate electricity with something similar to a Sterling engine. A good thermal hot air panel can produce 200+ degree(f) air. Without using any of the seriously toxic chemicals needed to make PV’s. Perhaps a buired geothermal loop to get a constant temperature differential. Existing technology. Hot air. Better than a room full of politicians. I have been using a solar thermal unit since 1984, made by a company long out of business. It could be larger at 3 square meters, but works well in my sunny alpine climate. It is just a well made heat box ‘inflated’ by an 80 W German fan, all heat transported to the cool end of the house. I only switch it on when 10C is reached but outlet temperature is outside temp. plus 15C. It won’t raise a sweat but is another heating source that works quietly in a very cold climate. I like your idea of geo-thermal storage, this unit could then store heat underground in the summer. A simple, long lasting, effective technology. I once had a weird dream in which everyone had nuclear a reactor under their home constructed with a special ‘safe’ radioactive sand that gave off heat much like some known natural radioactive deposits. That is what stopped my off grid experiment, my solar panel array got turned into a lot of little solar panels when a thunderstorm developed when I was not home. Process uranium or other naturally-decaying materials as near-microscopic bits encased in tiny glass spheres. The material and large decay products (radon etc) wouldn’t be able to escape. Obtain lead that’s been processed to a consistency like sand. This is already used for ammunition (“dust” as found in many .22 shotshells). Mix together. It’ll provide heat and be relatively safe to have around and even handle. Because different sizes were used, when it’s time to recharge the system the spheres can be simply sifted out then fresh ones are mixed into the lead. To reclaim the material you can crush the spheres. However, when the material is too weak to work with the lead it may still yield enough heat to use by itself inside a shielded vessel. When it gets too weak for that, well it is already safely encased, just pour the spheres into an old mine somewhere. How does that match up to your dream? That’s why you get the flexible thin-film PV laminates that come in a roll, they don’t shatter. They’re durable, made to be unrolled over tin roofs and flat roofs. There’s a “limited power output warranty” good for still getting 80% after 25 years (click on item numbers for the pdf’s). They use triple junction technology, and yield more energy than crystalline PV cells. They also work at lower levels of light, and don’t have to be directly aimed at the sun. Just unroll (adhesive backing), wire up (quick connect), and don’t worry about them. If I was going to try solar, this is what I would buy. kadaka (KD Knoebel) : thin film solar. Sort of. If you go through the numbers, they run about half the efficiency of the expensive crystalline cells. The Uni-Solar panel is rated at 144 watts, for a 2 sq. m. panel. A good silicon panel might produce 400 watts in that size. Thin film is cheaper, for sure, but not more efficient. And you still need batteries. That’s the real gotcha. A fuel cell is nothing more than a battery with separate storage for the elements involved. Low voltage, so you need a bunch in series. You can run a survival cabin on 12 or 24 volts, but real world, you need 120 or 240 vac. That means an inverter and some serious voltage driving it. So lots of cells, which need careful circuits to prevent a single cell crash. The Tesla Roadster has over 6800 “C” cells in it’s battery pack, in series/parallel configuration. An engineering marvel, but not cheap. That’s why I favor thermal. A single storage “cell”. Heat is about the lowest form of energy, but it does follow the KISS concept. Wonderful and complex doesn’t do much good if it breaks. It has occurred to me that something like this might be *theoretically* possible. I vaguely recall that I may have heard or seen a news item about radioactive deposits somewhere at sometime creating a possible ‘natural reactor’ a day or so before my dream. I believe this was over ten years ago. Well I can’t decipher who said what; but perhaps any one of you can tell us what is the conversion efficiency of these “cells”, that is electric power out divided by total ground level solar power in such as Watts per Watt. If you look at their “superior to any other” chart; you find it is a graph of actual power output versus rated power output. It doesn’t say they produce more power than the competition for the same solar poer input. Nevertheless, I am intrigued; even impressed by their silicon triple junction technology; BUT !! What are they really doing ? Their “blue junction for example is simply a very thin junction silicon diode that can absorb blue photons in a thin junction. The longer wavelength photons pass right on through the thin diode on top, and then next one is a bit thicker and absorbs some longer wavelengths. Thge longest wavelengths go through to the bottom thickest Junction. BUT here is the kicker. The blue cell is absorbing solar photons that may be in the 2.5 to 3.0 electron Volt energy range; but being a silicon junction it will only generate at best about 0.5 Volts DC at optimum lad conditions. So something over 85-90% of the photon energy that is absorbed by the diode, is simply wasted as heat. Lkewise the green junction only produces about 0.5 Volts from say a 2.5 eV photon so it loses 80% as heat. “Real ” triple junction solar cells would use a wide bandgap material such as Gallium Nitrode, or Gallium Indium Nitride to convert those higher energy Photons into a much larger terminal Voltage than silicon can. So nowhere in their literature do they quote an actual real sun conversion efficiency; and I’ll bet, that whatever piece of paper they have that written down on is locked in a vault under armed guard somewhere. So you talk to their jobbers who will sell you a system; and they won’t tell you the number; I doubt that they even know the number. All they want to know is how big an installation do you want to buy and how are you going to finance it. When these solar companies come out up front and announce on a spec sheet what their conversion efficiency is under what irradiance conditions; I wouldn’t buy a used paper napkin from any of them. Despite that I do think this Uni-Solar TJ cell is quite an accomplishment. But quit playing stupid games with us; tell us what the true solar conversion efficiency is for production panels. They have a concept they’re to trial for harvesting wave energy. …but perhaps any one of you can tell us what is the conversion efficiency of these “cells”, that is electric power out divided by total ground level solar power in such as Watts per Watt. They have, of course, the “ideal” Standard Test Conditions (STC) numbers [1000 W/m^2, Air Mass (AM) 1.5, 25°C], but they also have more real-world Nominal Operating Cell Temperature (NOCT) numbers like you’ll find on a rooftop (800 W/m^2, AM 1.5, 1 m/s wind, 46°C) so we’ll use them. Maximum power 53W, total size of strip is 2.849m by 0.394m (112.1″ x 15.5″, fits between the standing seams of a tin roof). Yields 47.2 W/m^2, about 6% efficiency. Note the chart showing amperage produced for irradiance amount, at STC you should expect 1.0A per 200W/m^2. The too-simple one on this page? Nah, looks like a marketing department graph. Being triple-junction they do garner somewhat more power than old-fashioned basic crystalline silicon cells. The major thing to notice on that graph is around sunrise and sunset. These particular flexible ones operate at dimmer light than traditional cells. I’ve read elsewhere they work with diffuse light, doesn’t have to be strong and likely direct sunshine, thus they can generate on (lightly?) cloudy days and practically sunrise to sunset. This leads to the graphs on pg. 3 & 4 of the Energy Production Brochure (link to pdf found here). The “superior to any other” charts show real-world examples involving about 2 to 4 years of comparison testing (and I agree such third-party results need better citing of their source). Although their amorphous silicon technology is technically less efficient than crystalline silicon, their design yields more kilowatt hours per kilowatt installed than other technologies. The first pg. 4 graph is interesting. Standard panel mounting is at a fixed tilt, no rotation for sun tracking, just bolt down and ignore. At a 30° tilt the flexible ones easily beat the crystalline panels. But with crystalline at 30° and the flexible at a mere 3°, the flexible technically edges out a win. Now, if you have a commercial building with a flat roof, sloped slightly for rain runoff and preferably southward (Northern Hemisphere), here is a product you can lay right down. It won’t be sticking up like a traditional panel, where it’ll stick out as too noticeable and also be vulnerable to wind. You won’t have the shading issues that’ll plague tilted traditional panels, you can cover practically the entire roof with these strips. So which looks better to you? The caveat, of course, involves area, they occupy more per watt. But with flat roofs and flat installation you can fit in more units than tilted conventional panels. Around the equator traditional panels may look better, moving poleward things will quickly even out, then flat-mounted flexible is superior. That might have been the ones used for the Mars rovers, only cost a few million dollars. BTW, interesting note: that entire 68W strip has only 11 cells. With NOTC conditions it generates 15.4V at maximum power, thus with all 11 series-connected that’d be 1.4V per cell. By the voltages you gave and adding in the red layer, if all three layers were series-connected within each cell then the 1.4V figure makes sense. Yet in this case a simple back-of-the-envelope calculation from company-provided specs teased out that precious figure. One of the major reasons I like these is it wouldn’t be someone else installing them, it’d be me, paying for everything up front. They install easy, no bracketing and the like, and no screw or nail holes through the roof. Some numbers I’ve seen put them at a higher cost per watt than traditional panels, mainly the cheaper panels, but that neglects installation costs including those brackets and things. The company is forthright on expected degradation over time, see their limited power output warranty. Maintenance is minimal, there’s hardly anything that could go bad. Currently by Google: Shopping (Product Search) the 68W laminate strip can be had for $250 or less with shipping, around $215 without. The current second-cheapest wants $209.95. Looking at their prices, you can get a 40W panel for $189.95 or a 85W for $299.00. Those three are considered 12V. The 136W strip, considered 24V, is $389.00. For less than $7 more you can get a 80W 12V panel, made by Sharp no less. If only the stupid inverters didn’t cost so much. You can spend $1500 and up just to have a single grid-tied panel. Yuck. Notes: While this is very similar to the Air-X, it is important to note that it is rated at 160 watts (was formerly rated at 200 watts) at 28 mph, vs 400 watts for the Air-X and Air-X Marine. On the up side, it has a much lower starting speed – around 8 mph vs 12 or so for the Air-X, which in most areas will give better performance on a yearly average. However, as with any wind turbine, how much power you get depends on having enough wind. Though the startup speed is about 7 MPH, you will not get more than 10-20 watts at that speed, and you will need 25 MPH+ to get the full 200 watts (around 15 amps @ 12 volts). Jeff: the article says production is boosted, not yield. Processes are never 100% efficient.